The final episode of Gairdíní na Lus is being broadcast on Tuesday 11 Feb at 8 pm on TG4, repeated Sunday at 9 pm. The previous episodes can be viewed on the TG4 player. Made by Midas productions, with the support of the Broadcasting Authority of Ireland, the series explores behind the scenes at the Gardens, from the potting sheds to the herbarium and laboratories. You will be able to follow the work of the gardeners behind the scenes in the nurseries as well as in the public grounds. 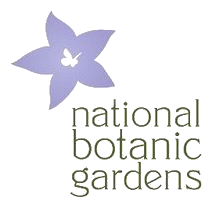 You will also discover the many roles the Gardens play across the country, exploring and safeguarding our flora. You can get a taste of the programme from this YouTube clip.